Hans remains seven years at the Sanatorium Berghof and sits at each of the seven tables. His tablemates at the last, “bad Russian” table come from the foggy edges of Europe. Hans has become some kind of a hermit, an anchorite. He takes less care about himself and wears a goatee. There is, the narrator adds, a certain philosophical negligence in his appearance. With the exception of his occasional visits to his mentor Settembrini, Hans has become silent and most people, even the doctors and nurses, leave him alone. Hans has no watch anymore and no calendars in his room, so he is also standing outside time now. Time has continued slipping past and many things have changed, people have died, kids have grown up and died and the old consul Tienappel has died too. While Hans is very distant to what happens in the flatlands, he still sees the departing of his uncle as another step towards his total freedom. He has stopped writing letters to people he once knew, stopped ordering his Mancinis ( replaced them by a new brand “Oath of Rutli” – an independence symbol ), cut all strings which still attached him to the flatlands. We hear a “Rumble of thunder”. We are in the Summer of 1914 ( WW1 officially begins 28th July ). The two demons introduced in the last chapters Stupor and Petulance, have taken geopolitic dimensions and are the cause of war. The War has of course an effect on the residents of the Berghof too. People are fleeing the sanatorium and travelling down to the flatlands. Our friend Hans has not seen things coming despite the warnings of Settembrini. Hans is the Sevensleeper. Settembrini is very ill and will not make it down to the flatlands. Sounds of War, Brass blaring, Drumbeats. There is a Regiment of volunteers, youngsters, students, 3000 of them. Statistically 1000 are about to die in the imminent attack. 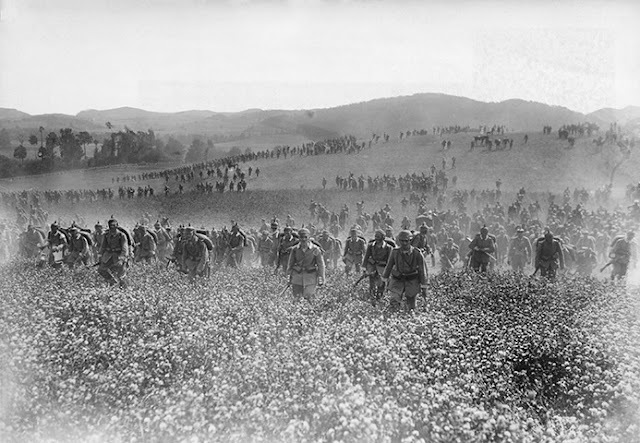 A “shameful and sublime” war scene interrupted with a vision of that “golden age” , we remember from the chapter snow. He has turned into a real soldier, without hesitation he steps on the hand of a fallen comrade. 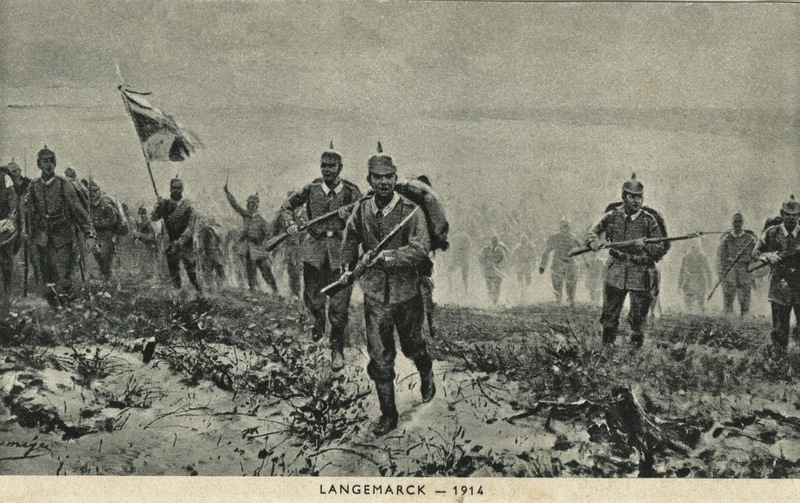 Marching towards the enemy, he is singing to himself strophes of Schubert’s “Der Lindenbaum”. The narrator and the readers take leave of Hans. “We have told your story to the end…”. What a way to finish a Bildungsroman ! Has all that learning served to nothing? Will all those pedagogic efforts be crushed by the next bomb? And even if we get an answer to the question “Will Love rise up from this carnival of death too?”, will it be in an endless cycle of learn and build and then…destroy?